Michelle is a dynamic leader in health care Finance and Operations, advising both independent and network-owned medical practice groups. As Past President of the Idaho MGMA chapter, she understands the mission that drives us toward continuous improvements and applying best-practices in operational performance. The future of health care depends on efficient, effective business operations; and Michelle helps others learn how to implement solutions imperative to survive and thrive in this complex continuum. Michelle has spent her entire career in the health care industry, holding executive leadership roles spanning primary and multi-specialty practices. She also has experience working in ambulatory surgery centers, dialysis, home health and clinical research facilities as well as implementing successful turn-around strategies for hospital-owned physician networks. Michelle is a seasoned healthcare management advisor, first discovering her passion for consulting in 2004. She founded Wier Management Solutions in 2013, and transformed the organization into V2V Management Consultants in 2015 by collaborating with the three other founding partners, Debra Wiggs, Irv Barnett, and Nancy Babbitt. 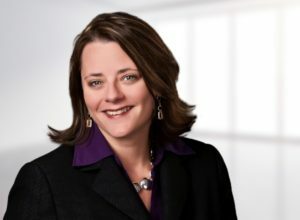 Michelle understands the unique mix of blending independent cultures and corporate mandated-systems that independent practices experience during acquisition by a health system. Michelle is so well-regarded because of her expertise in identifying operational efficiencies that make medical practice groups sustainable. Hospital systems are often challenged to efficiently run this important entry channel into their business. These ambulatory service lines are unlike any other arrow in the hospital’s quiver of medical delivery mechanisms. She’s helped innovate and transform practices throughout the country ranging in size from a solo practice to networks of hundreds of providers. Her work has included network and practice expansions capturing market share, developing Patient Centered Medical Homes, incentive driven payment reform models, new facility ROI analysis, property, land lease negotiation and construction oversight. Along with that, Michelle has expertise in creating revenue cycle management programs, developing and implementing physician compensation models, ancillary service line growth, new service line development, and new practice start-up. Fundamentally, Michelle excels at developing the resources to provide accountability throughout an organization’s many layers. A native of Louisiana, Michelle now makes her home in Lewiston, ID. Read my latest thoughts on the Healthcare industry.